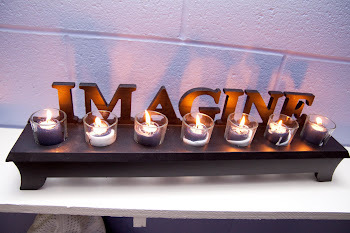 Imagine Yoga & Wellness, LLC: Happy New Year! We had such a wonderful time today in our new center, filling both our "wondrous blue" yoga studio and "amazing violet" workshop room with beautiful yogis. 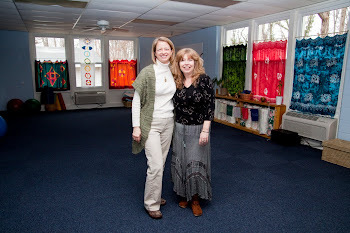 Linda and I are so grateful to have had our center blessed with such positive yoga energy. Many thanks to so many of you who contributed your efforts, energy, time and prayers into making this dream a reality. In January we hear much talk about New Year's Resolutions, which often feel like unattainable goals. I prefer to think them as my best intentions. The beginning of a new year is a great time to think about what has been working for us, what hasn't, and what we are willing to do about that. I think it's the Just For Today part of of the creed makes it feel more possible - although sometimes I think "just for this moment" is a big enough commitment. The whole year seems too big. I know I will worry. I know I'll get angry, but maybe I can lay those aside just for today, just for right now. And "doing my work honestly and diligently" isn't the same as doing my work perfectly. What a relief that is to realize. Barry reminded me about showing kindness to all living things today when he was ushering a fly out of the yoga studio before our big opening today. Sometimes flies are easier to be kind to than people, but just for today, I will show kindness. And I have so much to be thankful for, so many people, so much love. Today I am deeply grateful. Feeling deeply grateful is a wonderful way to begin a new year.